Minister of Antiquities Mamdouh Eldamaty said on Sunday that EGP 10,000 (around $1300) will be provided as compensation to the families of guards killed Saturday in an apparent heist attempt at Deir Al-Barsh in Upper Egypt, and two others killed in an explosion at Tel Al-Dafna in Ismailia. EGP 5000 ($640) will be given to the one guard wounded in each attack. 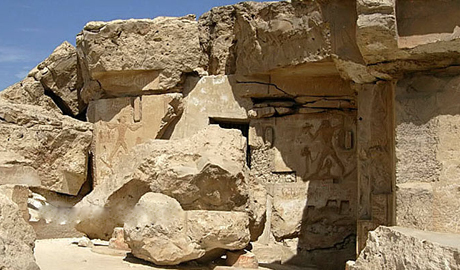 Minister of antiquities press attaché Moushira Moussa announced Saturday that a gang snuck into the Deir Al-Barsha site in Al-Minya in an attempt to rob the tomb of the last ruler of the First Intermediate Period, Djehuti-Nakht. The site's guards defended the tomb but two were killed and one was left wounded. "The same compensation would be provided for the two workers killed and one wounded at Tel Al-Dafna site in Ismailia yesterday when a leftover landmine detonated during excavation," he added.